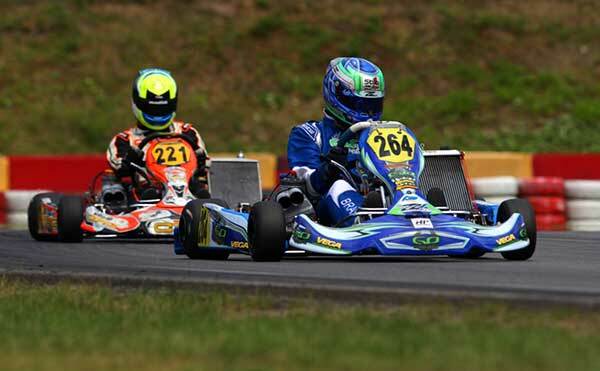 Kiwi kart international Daniel Bray is in France this week, preparing for the opening round of this year’s CIK-FIA European KZ2 Championship at the Circuit International de Salbris south of Paris this weekend. Bray, from Auckland, is one of 74 drivers from around the world entered in the KZ2 class. With 25 in the premier KZ class and 51 in the Academy support class the meeting is one of the biggest and most important on the international karting calendar. The Academy class uses the same Vortex DVS engine recently introduced into New Zealand for use in both Senior and Junior age group classes. Though he is the only Kiwi competing at the meeting – and with top Australian drivers Joshua Fife (KZ2) and Beau Russell (Academy Trophy) one of only three from Australasia – works GP Karts driver Bray has been a regular on the European circuit for the past seven years, with a best result of third at the World Cup meeting in France in 2013. This year the 30-year-old will contest both rounds of the European Championship (the second is at the South Garda kart track at Lonato in Italy in July) and the annual KZ2 Super Cup meeting at Genk in Belgium in September. “In the big picture, this weekend and the second round at South Garda are all about getting ready for the Super Cup because this year we are on a new tyre, the LeCont from Italy,” Bray said from the track yesterday.